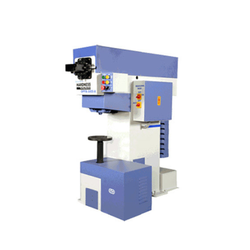 Our organization is dedicatedly engaged in manufacturing, supplying and exporting a wide assortment of Special Purpose Brinell Hardness Testing Machine. All the testing machines offered by us are manufactured using quality assured raw material employing latest tools and techniques. 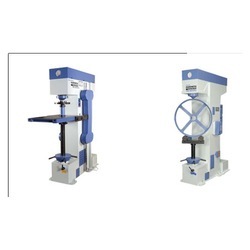 These testing machines are widely used in various industries for testing the hardness of sample. 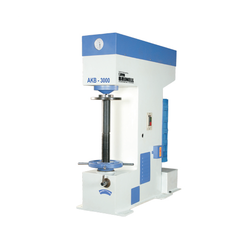 Adding to this, we offer these testing machines in various sizes, dimensions and other specifications as per the need of our valuable clients. Owing to technologically advanced manufacturing facilities, we have been able to offer a range of Brinell Hardness Testing Machine. These are manufactured using excellent quality raw material with employing latest machines and tools. Before the end dispatch, a team of strict quality examiners stringently examine these machines on varied parameters to ensure their flawlessness. Further, a team of deft expert ensures that these gate valves are delivered at clients location within the scheduled time. Our organization is dedicatedly engaged in the business of offering a wide gamut of Fully Automatic Optical Brinell Hardness Tester. All the testers offered by us are manufactured using high grade raw material which we procure from reliable and trusted vendors of the market. Owing to excellent features such as high durability and high tensile strength, our entire range is widely applauded by our valuable clients. Further, a team of deft experts make sure that only quality tested products are delivered at clients' location within the committed time frame. Magnifications 125X, 250X & 625X available. We are instrumental in manufacturing, supplying and exporting a wide assortment of Vickers Hardness Tester. Manufactured in accordance with international quality standards, these testers are widely demanded in the market for its efficiency. All these testers are designed with digital or computerized models which helps in testing the hardness of the product easily. Our testers finds its application in proof testing of ropes, chains and any other long specimens. 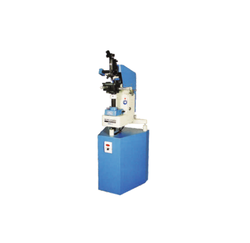 Looking for Brinell Hardness Testing Machines ?